We live in a diverse and interconnected world that challenges us to learn how to live together in peace. “Coexistence” is a popular buzzword these days, but it’s easy to lose sight of what true coexistence entails. Living in harmony with others who are different from ourselves is a lofty ideal. To truly live together in harmony, we must be willing to bring “others” – differences and all – into our inner circles. Through my work as an educator, I’ve had the privilege of watching my students rise to this challenge in ways that are often surprising. I teach an experiential education program on disability inclusion at Ono Academic College in Jerusalem. 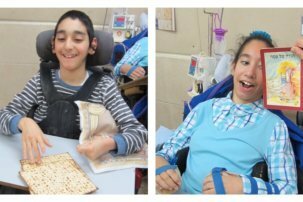 While it would be worthwhile to develop an entire curriculum focused solely on disability inclusion, my program goes one step further: it unites young Jewish and Arab students. In fact, one could say that my program harnesses the power of disability inclusion to bridge the gaps between Jews and Arabs, whose cultures commonly clash, and to diffuse environments that are often politically tense. When I began my career as a psychologist, I researched youth with special needs and how they learn and interact differently from the general population. At Ono, I leveraged that research to create a hands-on program in disability studies. My program quickly became popular with young Arab and Jewish students who were looking for a meaningful way to enact social change within the complex milieu of Israeli society. 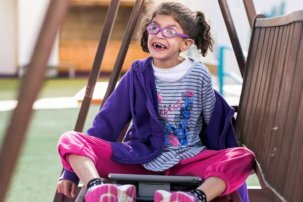 Together, our diverse group tackles 100 hours of field work, engaging in hands-on experiential learning activities with groups of children with disabilities throughout Jerusalem. My students are also given the freedom to create and initiate projects of their own for the children with disabilities and communities to which they are assigned. The projects are an opportunity for students to look outside of themselves and see the inherent humanity that we all possess, no matter how different the “other” may seem on the outside. 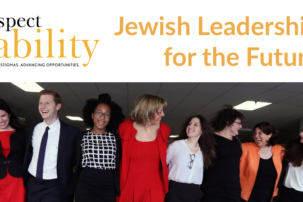 Working side-by-side with the disability communities of Jerusalem, this intense emotional experience has managed to unite Arabs and Jews, allowing them to see beyond their cultural differences and work towards a common goal for a greater good. Reaching out to someone else and making their world better has the wonderful side effect of allowing one to see commonalities between people who are different on the surface, while simultaneously boosting self-esteem. Through their work with the disability community and each other, my students become galvanized to make positive changes, realizing that they have the power to forge their own paths in life and positively influence the world around them. Personal experiences, like the friendships my students build with each other and the children that they work with, are long-lasting and powerful. Those experiences can be used as a tool to chip away at a social status quo that is steeped in conflict and tension, and to make room for a brighter future. For my students, those experiences have changed how they view each other, and the world. Disability inclusion has the power to show us the true meaning of coexistence. Humanity is naturally rich in diversity, and as my students have taught me through their actions and words, those differences enrich who we are and unite us, highlighting our commonalities without discounting our differences.